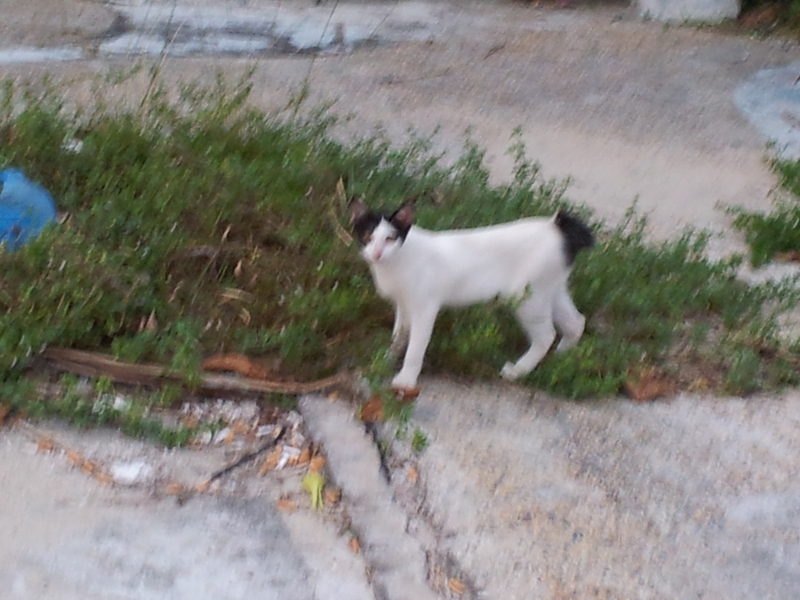 There are many stray cats and dogs here in Hong Kong and in Penang. 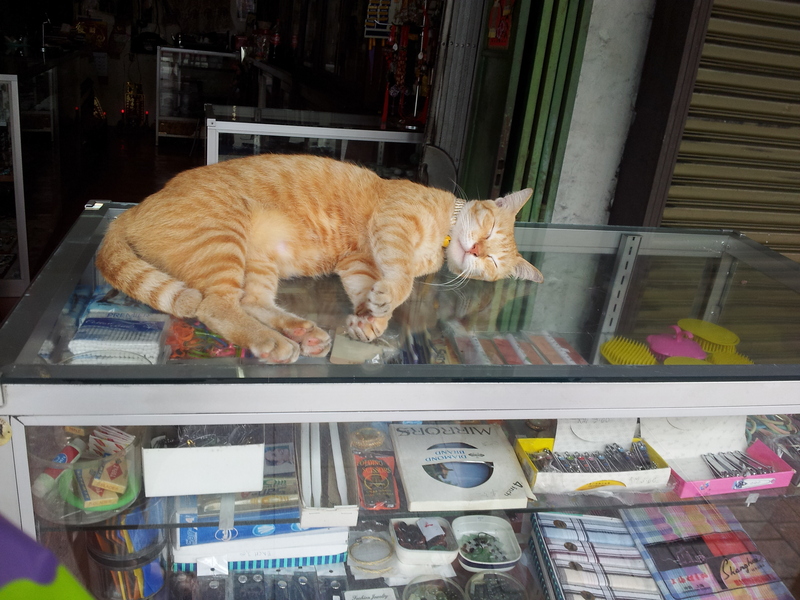 The cats are most seen in market type areas because they are important for controlling the rodent population. 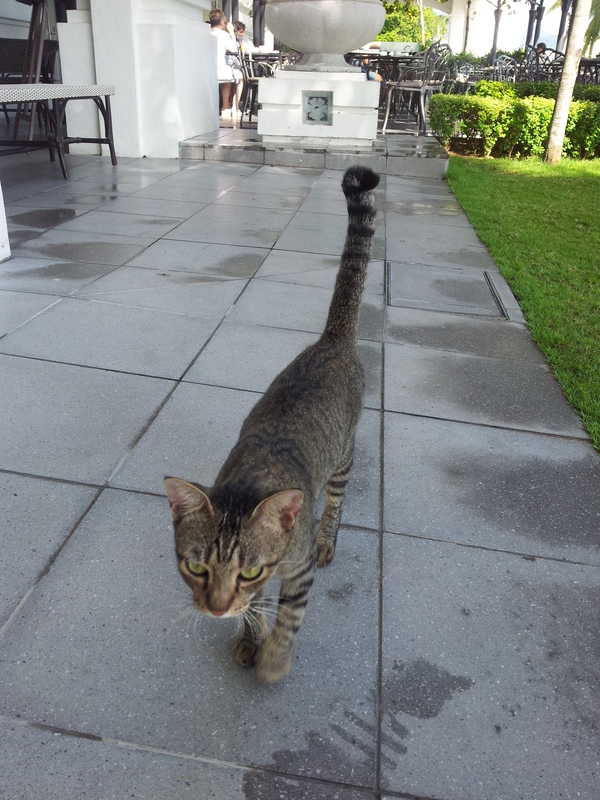 I’d much rather see cats than rats in the city that’s for sure. 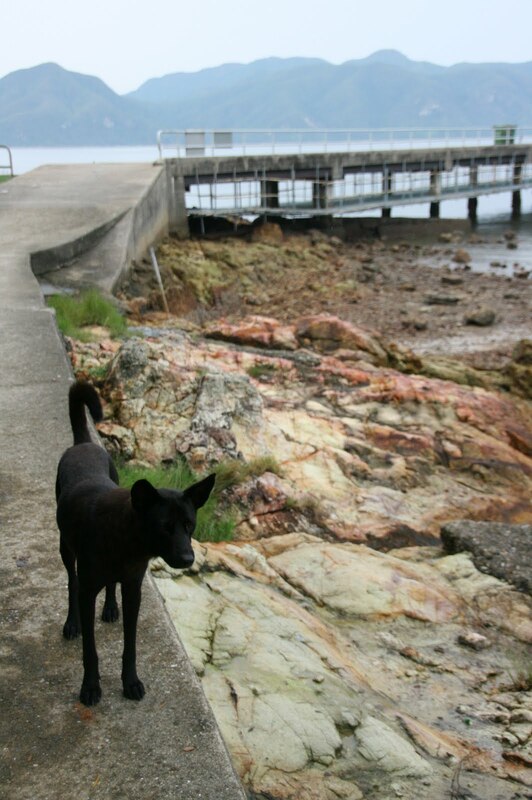 Stray dogs are mostly seen on Lantau Island and are referred to as ‘Village Dogs’ or ‘tong gau’. The dogs are usually very placid, when you see them they are usually napping in the shade and don’t bother passing people at all. The only exception to this was on one hike to Mui Wo when at medium sized black dog with red eyes came up and started barking at us. We all ran up the stairs on the trail quick quick and were happy it didn’t follow us. 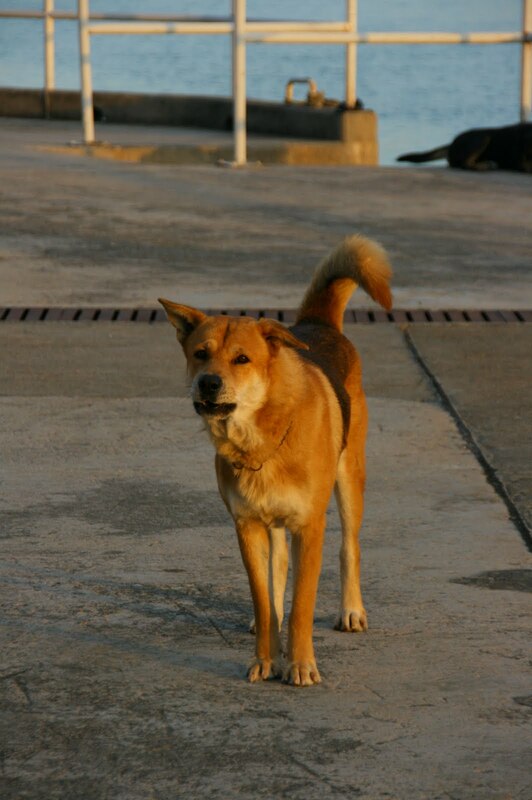 The village dogs are such a stark contrast to many of the fancy breed dogs that are also seen here. Bulldogs, hilariously trimmed poodles and little yappy lap dogs seem so sissy next to the local dogs. 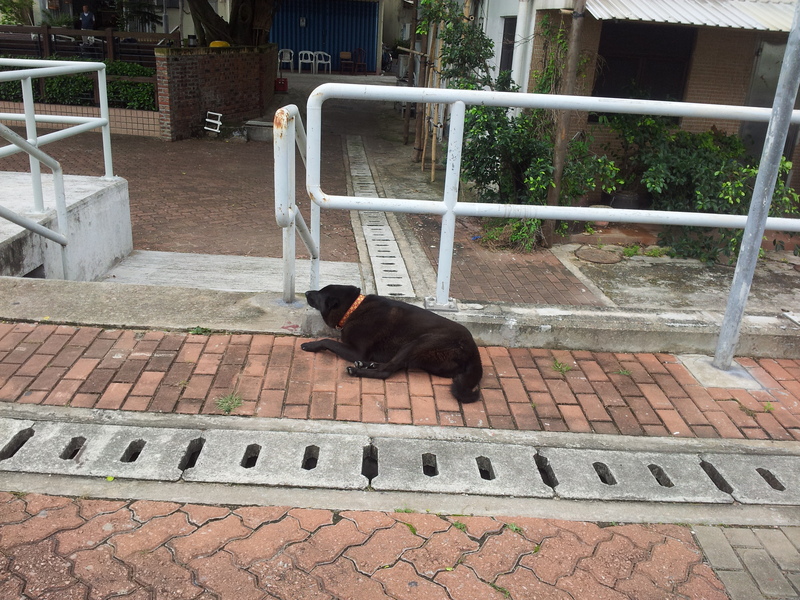 The good news for the stray dogs on Lantau is that there is an organization that looks out for them and gets them veterinary help and adopts them out. The dogs up for adoption are all so cute.